It is that time of the year singers are being honored for their yearly contribution to the world of music, be it with Grammys in the West or Mirchi Music awards in the East. 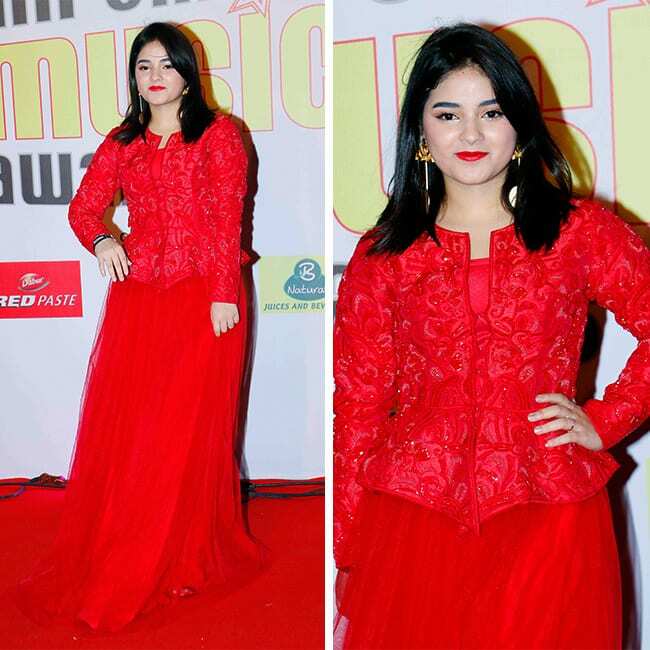 To witness the contribution of these melodious vices were present celebs from the industry such as super talented Zaira Wasim. Urvashi looked no less than Greek Goddess in her off white colored outfit completely in contrast with the bright red of the carpet she spilled her magic at. Bollywood actresses who did not get married!